VBHS Project Graduation is hosting a Paparazzi jewelry sale Wednesday, April 17th from 1-4pm in the VBHS library. All Paparazzi jewelry will be $5 and purses and wallets will also be available.This is a cash only sale and a portion of all sales will be donated to Project Grad. 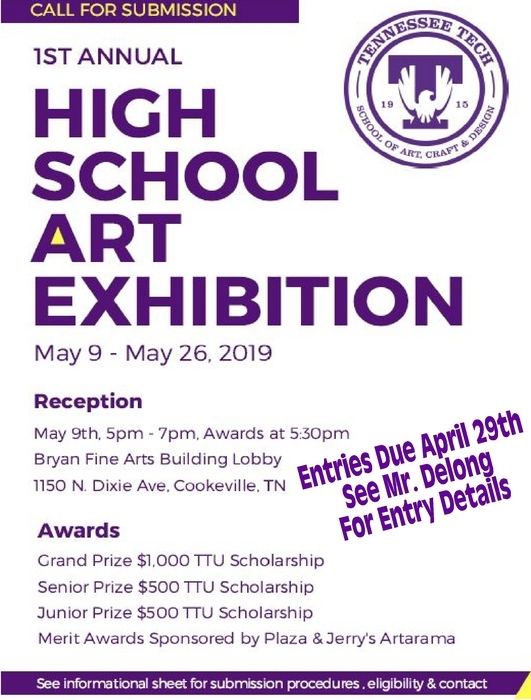 Tennessee Tech University is sponsoring a High School Art Exhibition May 9-May 26, 2019. Students who are interested in submitting their artwork must see Mr. Delong for more details. Entry deadline in April 29, 2019. Winners could receive a scholarship for TTU or other award! There will be a taco salad dinner on Saturday, April 13th at 2:00pm in the VBHS cafeteria. 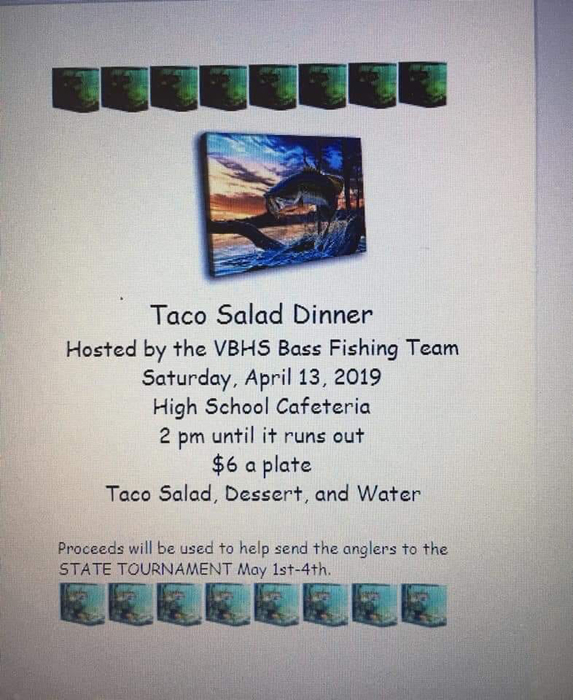 All proceeds go to the VBHS Bass Fishing Team to cover state tournament fees. Event: Tennis @ HOME vs. Warren Co.